Today's free project is a double bonus! 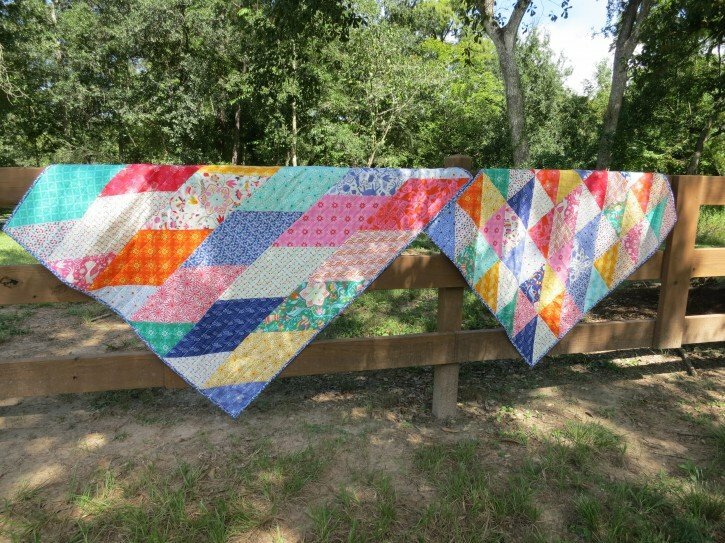 It not only comes with a pattern AND a tutorial, but that pattern will also lead you to make a bonus quilt! 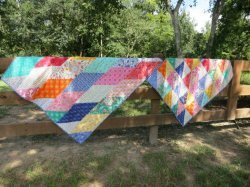 Lindsey Wilkes of The Cottage Mama has created a tutorial to go along with Moda's Fat Eighth Frenzy pattern. She created her quilt with Kate Spain's Daydream line. This quilt is especially great for beginners. 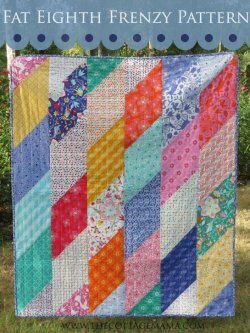 "The Fat Quarter Shop has just released a new Shortcut Quilt Pattern called the Fat Eighth Frenzy Pattern! I love the name of this pattern as I am frequently in a “frenzy” trying to make a quilt for a gift at the last moment. There is also a Bonus project pattern included for a smaller quilt using the scraps from the bigger quilt! Brilliant!"